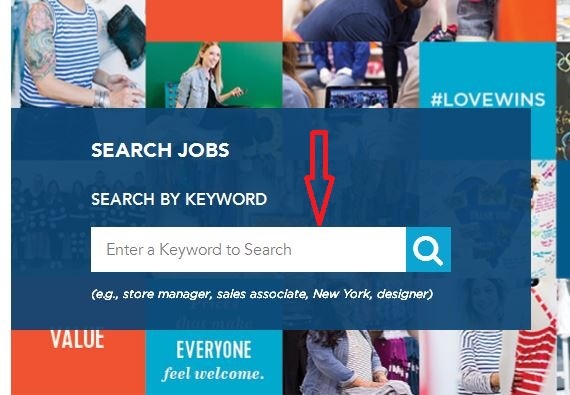 Go to oldnavy.com/careers or jobs.gapinc.com and then you can search for jobs by entering some keywords, sales associate, store manager, location, etc. for example, or you can choose to find admirable jobs from featured jobs listed below. 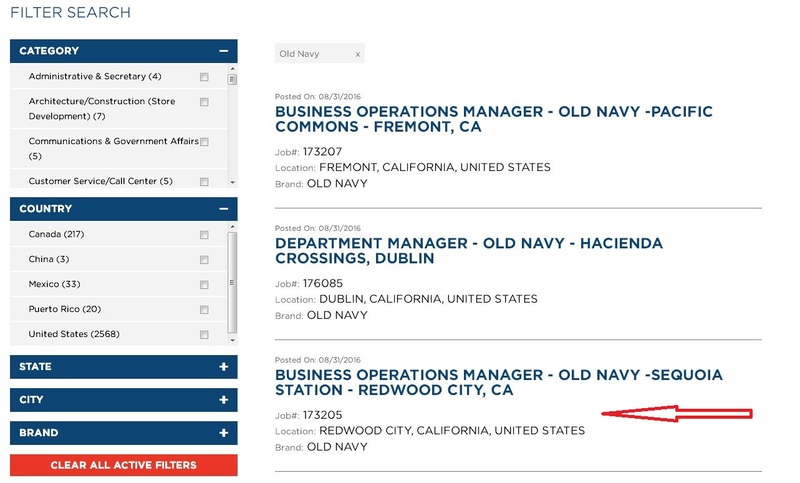 You’ll get a complete list of Old Navy job openings if you directly click the search button with no info entered. You can filter results by choosing job category, country, state, city, and brand, which will save you much time in finding out proper positions. 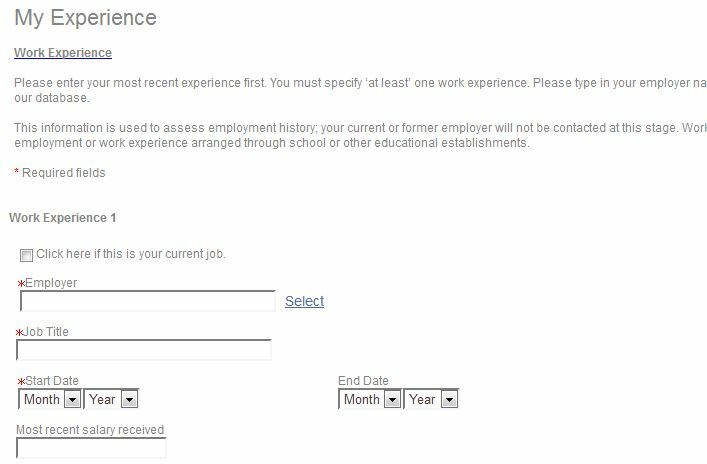 Select and click the one you’d like to apply for and begin your online application. Before you start your online application, you’d better read carefully about the job description to clearly know that you are equal to the job you intend to apply for. Then, click “APPLY” to go on. If you are a new user of Old Navy, you need to at first register at Old Navy by clicking “New User”, or you can simply log in with your password and user name if you are a returning candidate. Click “Register” to move on. Before uploading your resume through LinkedIn or your local computer, you need to say yes to a privacy agreements and a FCRA disclosure. 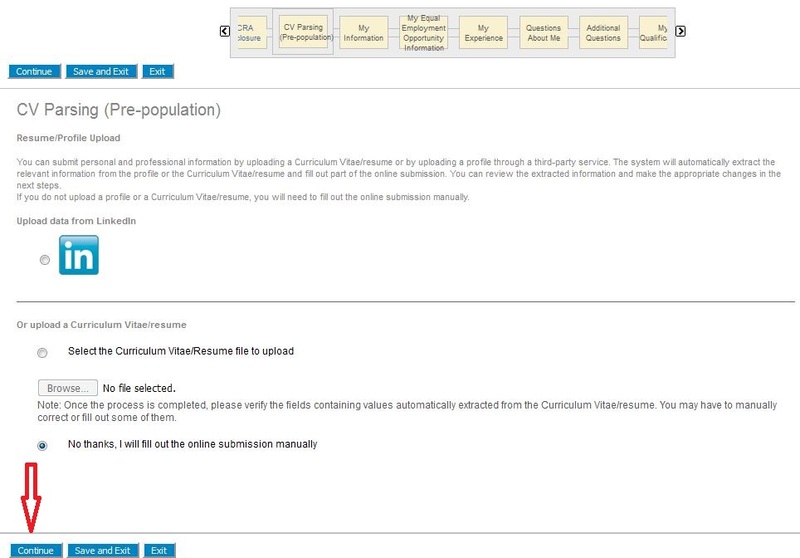 In addition, you can also choose to manually fill out the online submission. 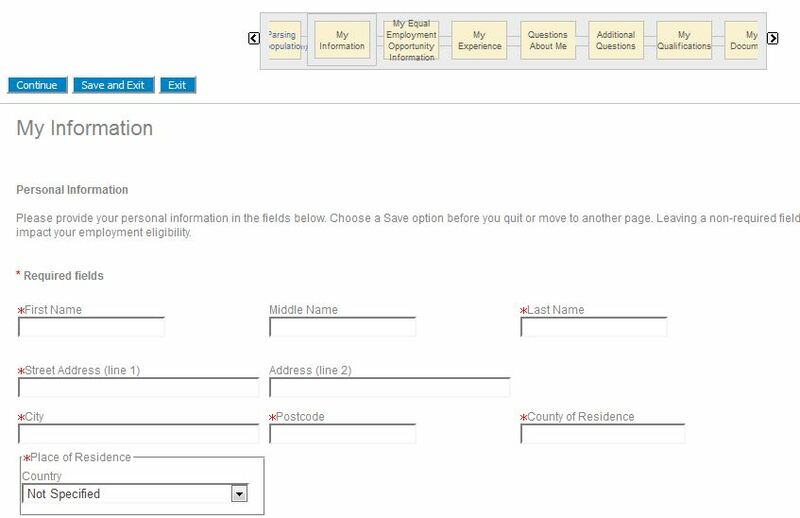 Take the later one to manually fill out the online submission for example. A progress bar above will show you what you need to do next to complete your online application. Click “Continue” to move on. In this step, you’re required to tell Old Navy some of your basic information, including your name, street address, city, postcode, country, email address, primary phone number, and your shifts availability and so on, so that you can be reached by Old Navy at any time. To go to this step, you need at first to help Old Navy report your gender and race/ethnic identification. And then you shall provide your work experience and education background, which will be pretty useful for interviewers to decide whether or not you’re proper to the position. There are several steps left to fully complete your online application. You need then to answer some questions about yourself and additional questions, provide your qualifications and documents. 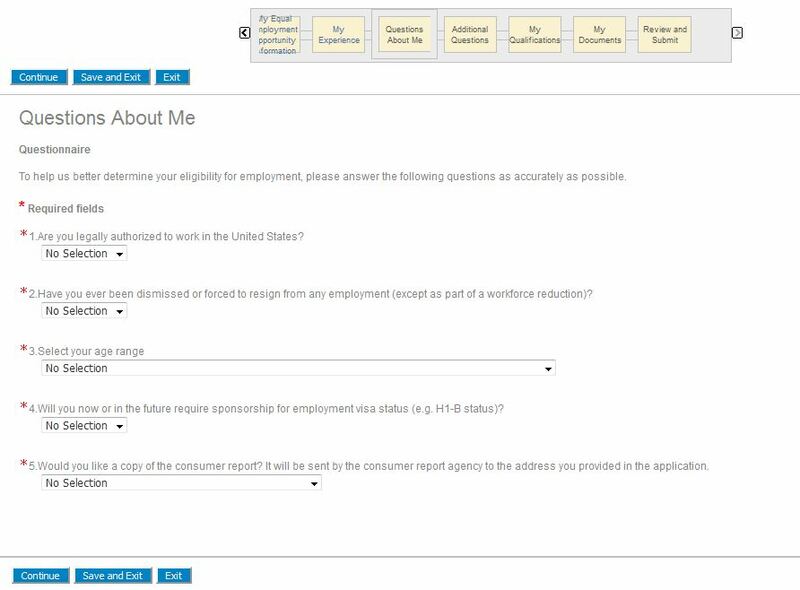 Be sure to fill out and review all fields within the application process, for may companies prefer to filter candidates by responses of certain fields. You will be contacted by Old Navy as soon as possible if you’re proved to be equal to the position. 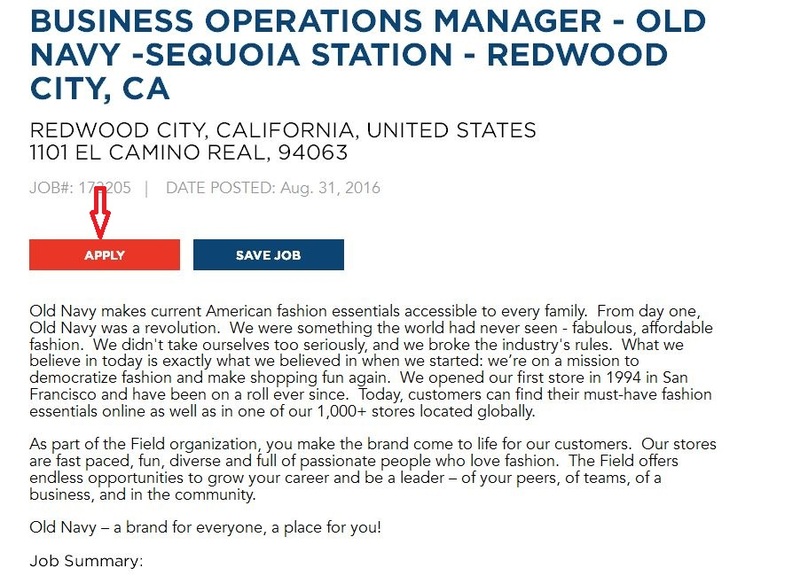 Click oldnavy.com/careers to apply for Old Navy jobs online.